What is better than a gourmet night out with a special someone? 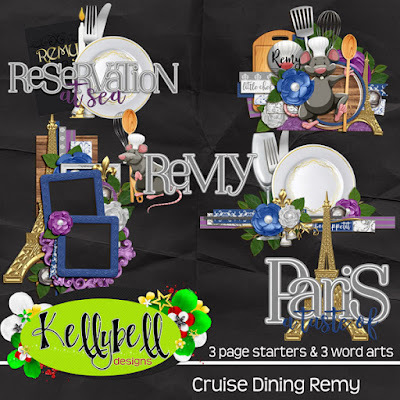 This week Kelly has a wonderful mini kit, Cruise Dining Remy, to help you create pages of your fine dining experiences. 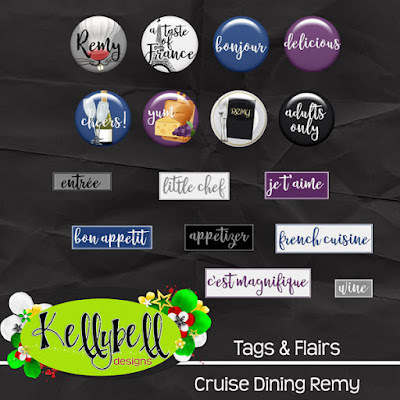 If you haven't cruised yet, you will still find plenty of ways to use this kit: Epcot's France Pavilion, meet and greets with Remy, and the Epcot Food and Wine Festival's Remy's Ratatouille Hide and Squeak game, to name a few. Be sure to pick up the matching Page Starters and Word Art, Tags and Flairs. 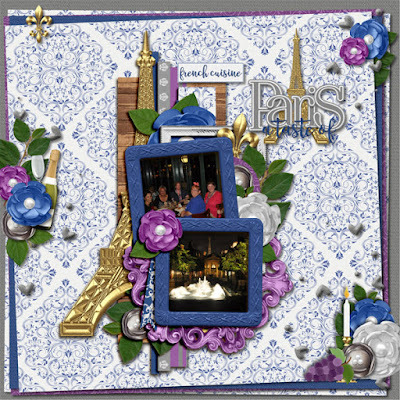 This kit is packed with beautiful, rich colored papers and an elegant full alpha set. 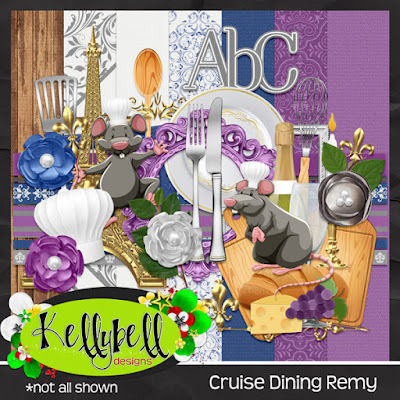 Unique elements include Chef Remy, wine, Eiffel Tower, utensils, china, cutting boards, cheese, bread, chef hat and so much more! Now how about some wonderful coordinating freebies from the team? You can find them at Lisa's blog, Roxana's blog, and Jennifer's blog. Have a great weekend and happy scrapping!